Whether you own a paint ball gun or would like to rent one, Action Packed Paintball is the place to play outdoor paintball with your friends. Paintball is an action packed sport that is perfect for family or friends! 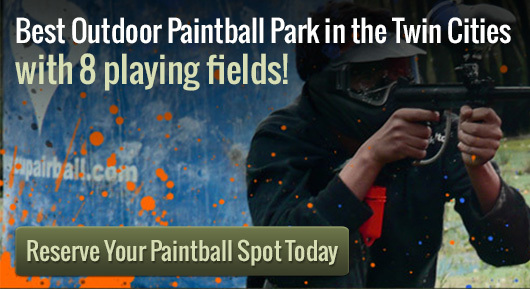 Action Packed Paintball Games has multiple playing fields for every player to experience. Players can choose from maps with buildings, ammo crates, barrels and more. Bring the video game to life and enter the fast action like speed ball or carefully execute a strategic plan in a war scenario. Don’t have your own paint ball gun or gear? Don’t worry about it! Action Packed paintball has everything to fully outfit each and every player in your group. We provide rental guns/ markers, head protection goggle systems, loaders, tanks and add-ons such as combat vests, camouflage jumpsuits and tactical gloves. Paintball is a game of strength and strategy and the most important weapon on the field is your paint ball gun. If you are new or experienced you will attend a brief safety orientation before playing. This short briefing will showcase how the paint ball gun works along with its safety features. Some paintball connoisseurs prefer to hit the field with their own customized weaponry. If you have your own gear and want to utilize it check out our gun owner hours for more information on open hours. The season is always in swing for paint ball gun equipment in Minneapolis at Splatball. If you are looking for new or used paintball items be sure to check out their selection before visiting online stores.